We are happy to announce that Historieberättarna has received a three-year financial support from Stockholm County Council. This opportunity opens up for a lot of new collaborations, for example an exhibition at Kulturhuset Lava with a collection of art, text and films from our work since 2015. Material from Storytelling without Borders will also be a part of the exhibition. Welcome to our opening the 6/3 at 5.30 pm! It will be a great night with poetry reading, food and speeches. 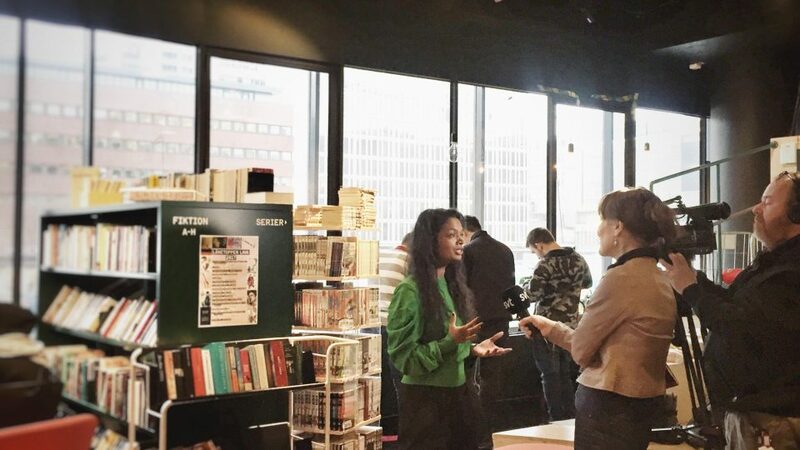 SVT did an interview with Anusha Caroline Andersson about the exhibition and the workshops at Lava, watch it here (time code 09.58).